My tour of Cincinnati culinary hotspots continues. White Castles earlier this week, Frisch's Big Boy (in the suburb of Blush Ash) tonight. 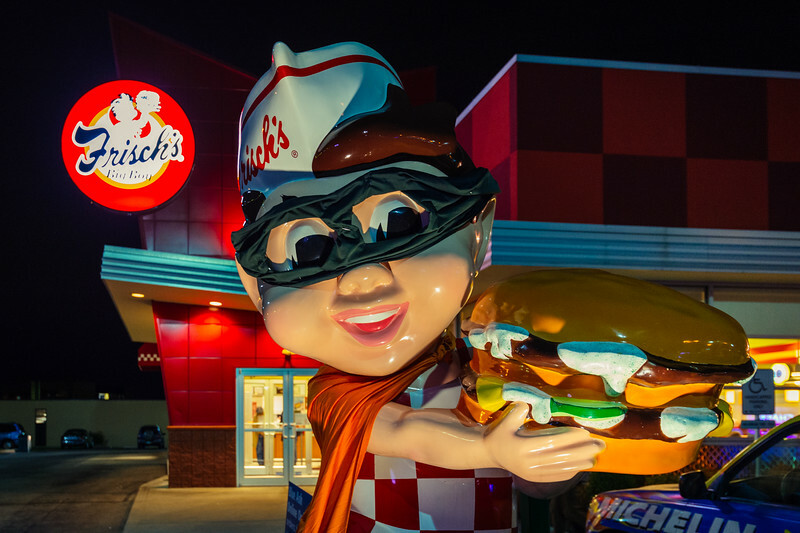 As I was pulling out of the parking lot, I noticed the Big Boy mascot was dressed for Halloween. Boom. Easy photo. I like both versions. 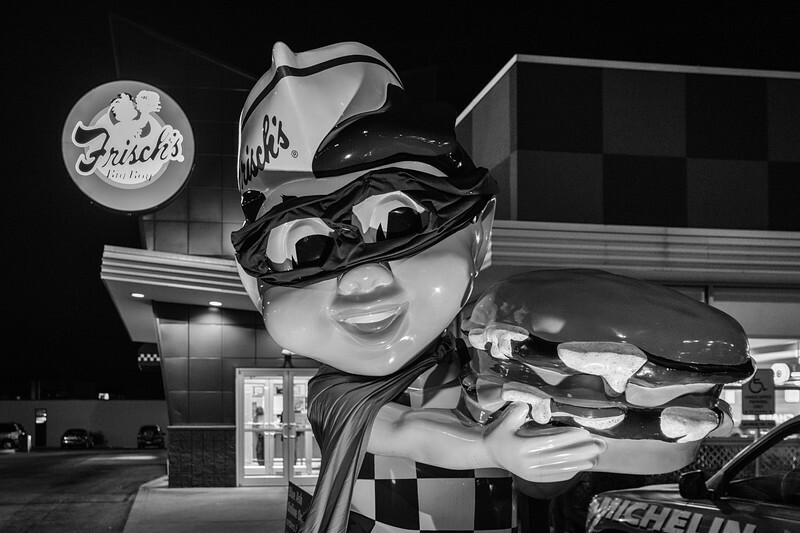 In this case, I give the edge to the color version that better shows the drippy Big Boy sandwich. If only they looked that good in real life. Photo was taken with my Nikon Df, shot in RAW and processed in Lightroom with VSCO presets. I used Silver Efex Pro to edit the black and white version.